Star Traders 4X puts you in control of the Quadrant and the Factions. However absolute your command of the Templar Military may be, the Factions are a contentious and prone to in-fighting. Your Templar Advisors will always be available to provide guidance, advance and warn you of imbalances within your empire of Star Traders. 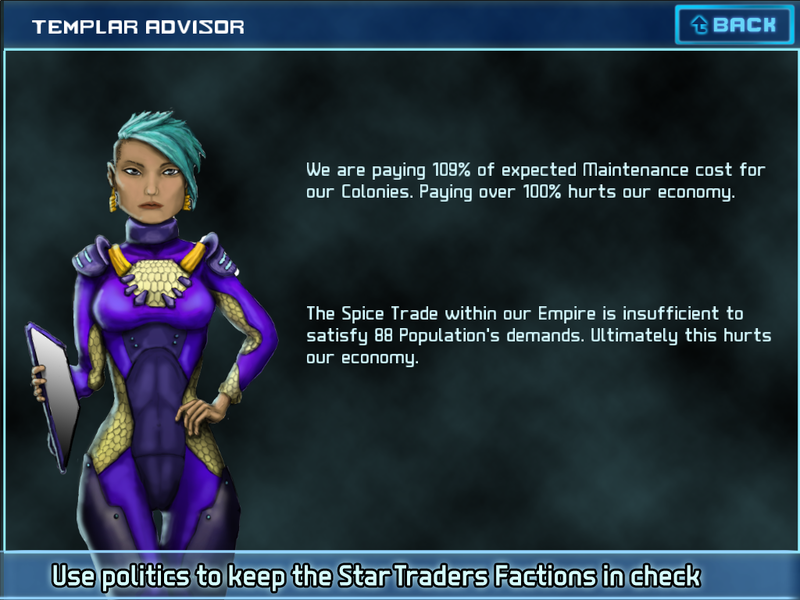 The same set of Conflicts your Star Traders RPG Captain works around exist in Star Traders 4X, however in the new game they are your tools of manipulation and politics. For example, you may trigger the infamous "Duel of Assassins" to defuse a struggle between two powerful families, or use a Spy War to extract information rapidly form a Faction who is working against the others. Hi! 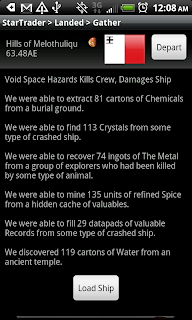 Just a question: how do I find Star Traders 4x? Is it for android yet? Thanks a lot! Bye for now!